I once took a 14 hour flight from Australia back to the US before I had kids and there was a three year old little girl and her mother beside me. I remembered thinking “uh oh” about having a toddler beside me, but I did like kids and engaged with the sweet girl along the way at various points. But what I didn’t appreciate at the time was the fact that she was SOOOO good until I had kids of my own and realized what work that is as a parent on a flight with a toddler….I didn’t appreciate how much that mother did and how much work it was to keep her little girl happy for that entire time. Now I wish I could go back and order that mom a cocktail and tell her at the end of the flight, “WELL DONE MOM!! !”…Because now I get it. The same holds true with leaving reviews on books. 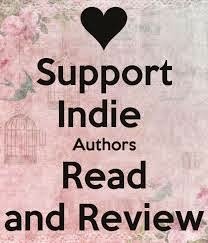 I’ve read more books in my lifetime then I can count, and yet the number of reviews I’ve given I could sadly count. Chalk it up to reading a lot from the library (before Amazon-yeah I’m dating myself), having an outdated original kindle, but really, it was about not realizing the power of a good review.